You Are Here: Home > DIY Forum Home > DIY and Home Improvement Forums > Tiles and Tiling Forum > Any advice on tiling with big tiles? I (possibly foolishly) bought a job lot of big tiles (400 x 250) that I now want to put up. A DIY mate was being pessimitic about getting big tiles layed flush and smoothly - particularly as the kitchen is pretty old and the walls not guananteed square & 100% flat. Any advice? Apart from not buying big tiles!! There is an art to getting the tiles level, but generally it can be done by using the dot and dab method. Put six or nine dabs of adhesive to the back of each tile, and push the tile against the wall. This method will leave a small gap between the wall and tile which will enable each tile to be positioned exactly. Try a long straight edge or spirit level on the tile face in each direction to ensure it is level with the others. Before using this method of fixing, ensure the wall is sound and will take the weight of tile with the reduced fixing area. 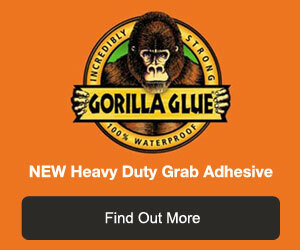 Make sure you choose the right adhesive too. Sorry to be a wet blanket but dot and dab for tiling is a real no no for any tiling as far as I'm concerned especially for large format tiles. Tiles this size require an even bed all over. No walls are ever square and you have to cut your tiles accordingly but you can make them flat using some rapideset skimmed over where necessary before tiling. and I forgot to mention. Addy on the wall not on the tile. Trowel on a min 1m2 at a time. Comb it out and you'll have an even bed. Bang the tiles up and continue on your way with the next lot.